Home Uncategorized	Check Out This HUGE Yam Tuber! All Hail the Edible Air Potato! Dioscorea alata – the “edible air potato” or “winged yam” – is one of my favorite wild edible plants. That’s 27lbs of root there. According to my calculations, this one tuber contains 14,220 calories. That’s enough food for 7 days. 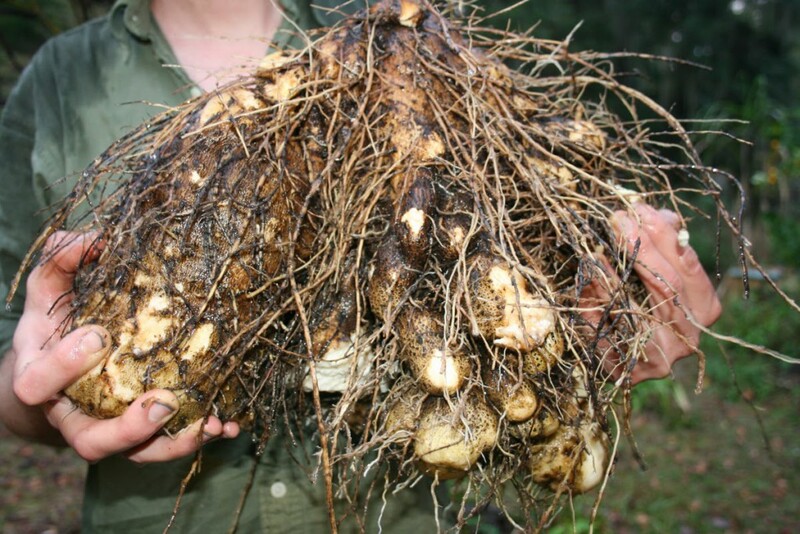 Even better, the winged yam isn’t a bland root like canna or a sweetish root like cassava. The winged yam tastes like a good white potato. You could eat it on a daily basis for a while without going nuts. 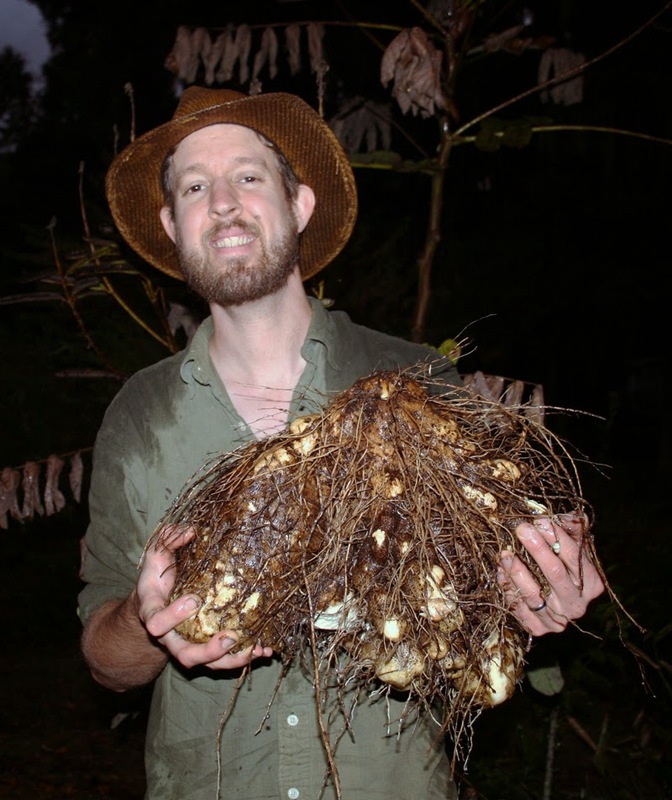 If you were to grow edible air potatoes on purpose, you’d start with one of the hanging aerial bulbils or a piece of root and plant it at this time of year an inch or two deep near a tree or a trellis the vines can climb. The first year the root or bulbil grows a bit bigger, maybe into a few pound tuber. The second year it goes insane, making a gigantic root that looks like the one I found. Quite a specimen, isn’t it? It’s amazing what you can find growing in Florida’s woods. I love this great state. Planning a Food Forest? Don’t Go Scorched Earth!